She prefers tales of adventure, magic, fellowship and courtship in other words fantasy of both the contemporary and high variety. 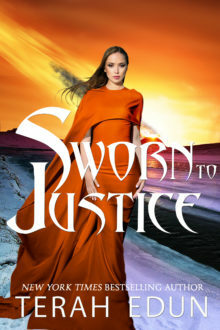 Terah’s series include Courtlight, Crown Service, and Algardis. She has sold over 500,000 copies of her books and is proud to be a young adult author. Terah makes every effort to respond to all reader inquires, but don’t be alarmed if you hear from her amazing assistant first. If you have any questions about Terah’s series or the author herself, please contact Rachel, her Author Assistant @ assistant@terahedun.com. For rights negotiations, contact Terah. Her tweets/opinions are her own. In addition Terah is happy to do author interviews, just send a list of your questions or your requested appearance to her email & cc assistant@terahedun.com to make sure its seen. 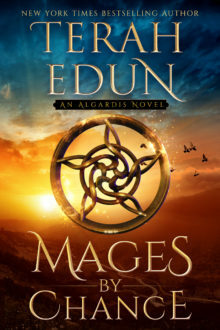 Terah Edun is the New York Times bestselling author of the Courtlight, Crown Service, and Algardis series, set in the eponymous Algardis Universe. Her books boast exhilarating adventures, breathless romance, and incredible fantasy for readers of all ages. Her Courtlight and Crown Service series are in libraries and bookstores, are “sure to whet readers’ appetite for suspense and intrigue” according to RT Book Review, and can be seen on the USA Today Happily Ever After blog. Together the series have sold over half a million copies. Her books are available in five languages, audio, and print. She is the author of 15+ books and her latest release is here: teedun.com/newrelease. You can find her on Twitter, Facebook, and Instagram.